What's Happy This Week! "Seeds of Happiness"
Seeds of Happiness is powered by happiness and the act of kindness and handcraft smiles for others to share with family and friends. It all started out as leftover lumps of clay Mark Borella made into little smiles to give out to friends who were going through hard times and need a little smile. That was in 2006. Since then Mark has given out thousands of smiles to folks, a handful at a time. In turn, they share them and the story with their friends in need of a smile. 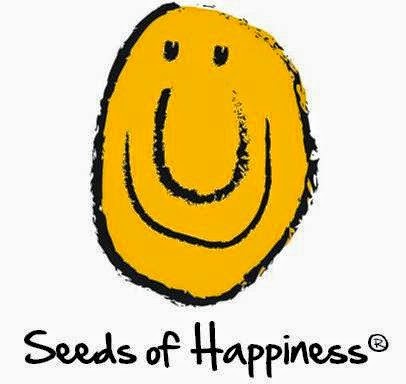 Seeds of Happiness is passionately committed to providing the smiles that bring happiness to our world. 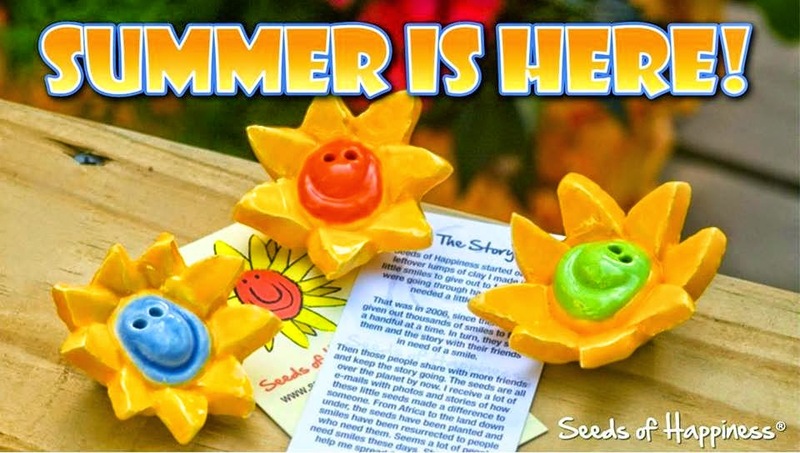 The ceramic smiley faces come in different sizes and shapes all with the seed theme. All seeds are handmade, fired and glazed in the USA. Seeds of Happiness started out as leftover lumps of clay I made into little smile to give to friends who were going through hard times and need a little smile. That was in 2006, since then I have given out thousands of smiles to folks, a handful at a time. In turn, they share them and the story with their friends in need of a smile. Then those people share with more friends and keep the story going. The seeds are all over the planet by now. I receive a lot of e-mails with photos and stories of how these little seeds made a difference to someone. From Africa to the land down under, the seeds have been planted and smiles have been resurrected to people who need them. Seems a lot of people need smiles these days. Share a smile - help me spread Seeds of Happiness. Mark Borella. "The Seeds of Happiness Guy"